Romans 12:10 (RSV)- love one another with brotherly affection; outdo one another in showing honor. Today, human beings have lost all sense of honor. People have lost their ability to honor FRIENDSHIP. They have lost their ability to honor RELATIONSHIP. They have lost their ability to honor PARENTS AND GRANDPARENTS. They have lost their ability to honor the LEADERSHIP in God’s church, or any church, for that matter. This morning, I would like share a message simply on HONOR. And this is the theme of our church for year 2016 – HONOR GOD, HONOR ALL MEN. •	Who to show honor to? •	How to uphold lifestyle honor? Honor can be something BESTOWED AS A REWARD for virtuous behavior. It can be a reward for honoring God or serving Christ. It can also be a reward for manifesting wisdom, discipline, humility, peaceableness, righteousness and mercy. Biblical images of honor also include examples of persons whose achievements bring honor to them. Joseph, Joshua, Solomon, David, Daniel and the apostles all earned honor. To honor someone is TO ACKNOWLEDGE AND SHOW RESPECT FOR THE AUTHORITY OR WORTHINESS OF A PERSON. To show honor entails an INWARD EMOTION, that is a FEELING OF RESPECT OR REVERENCE. Someone says that honor is a “deep, deep abiding INNER ATTITUDE of reverence and respect.” It comes from a HEART OF EXCELLENCE. It also entails OUTWARD MANIFESTATION, such as gestures (in the way of bowing before someone) or actions (in the way of conferring titles or privileges). Honor is MORE THAN ACTION. It is a CORE VALUE that affects all of life. Honor is how we DISPLAY VALUE. E.g. If I had a priceless vase, I probably would not put it on the backyard where it would be exposed to rain or children. I would create a safe place for it where I could display its beauty for anyone who enters my home. It would have a place of honor. (II)	WHO TO SHOW HONOR TO? The term HONOR is used in several different ways in the Bible and appears nearly 150 times in our Bibles. So, the idea of honor is a very important idea in the Word of God. Romans 13:7- [Give] honor to whom honor [is due]. Now who does God want us to show honor to? 1 Timothy 1:17- Now to the King eternal, immortal, invisible, the only wise God, BE HONOR and glory forever and ever. Amen. Millions today believe in God with NO inward change. Others don’t even let on they believe in God. Many Christians say we love God but God wants us to back up our words with actions by giving our BEST. E.g. I will never forget what a doctor (who was a pre-believer) in Singapore said to us. We were consulting him for baby Jan and he asked us about our vocation. We told him that we were missionaries to Philippines. He exclaimed, “Wow, you guys are something. Many Christians say so many things about God, but you guys really do what you believe about your God.” After that, to authenticate his honor on us, he gave us free for the whole consultation and medicine. People are not interested in how much our mouths honor God with our words but rather ACTIONS. To honor God with our BEST involve giving God our MONEY, TIME AND TALENT. Don’t be like the Jews in the book of Malachi who tried to cut corners in their giving and tithing. They performed their obligations to God at the lowest level of pain. They wanted to serve and love God without any cost to them. Malachi 1:6-7- “A son honors his father and a servant his master. If I then am a father, where is my honor? And if I am a master, where is my fear? Says the LORD of hosts to you, O priests, who despise my name. You say, “How have we despised thy name?” By offering polluted food upon my altar. And you say, “How have we polluted it?” By thinking that the LORD’S TABLE may be despised. Application: Are we like the people during Malachi’s time – despising and dishonoring God’s name by offering polluted lives and defective offering to God? We are guilty of offering defective offerings to God when we don’t give our best. By coming late; by not putting your best foot forward in any ministry that God has given you; by withholding your talent from God; is tantamounting to giving God a defective offering. Today is the first Sunday of the year. Start it right by giving God the honor as our Heavenly Father and Master. Bring in your tithes, time and talent. These three things are proof of your real internal [heart] honor to God. John 5:23- That all men should honor the Son, even as they honor the Father. He that honors not the Son honors not the Father which has sent Him. Here we see three levels of honor demonstrated by Martha, Lazarus and Mary. Each of them had a different passion, a different disposition of heart in how they chose to honor Jesus. For Martha, she honored Jesus by making Him supper. For her, honoring Jesus meant serving, doing that which she loved to do, doing that which she knew best, cooking and serving. Counselors today might tell you that it was her love language and she demonstrated her love to Jesus through this gift. Because that was her gift to Jesus, it was a valid expression of her love and devotion to Jesus, but it was not the only valid expression of love and devotion to Jesus. The next person is Lazarus. The Bible says that he was one of those reclining at the table with Jesus. It is not because he was lazy but rather Lazarus wanted to fellowship with Jesus, talk with Him, ask Him questions and listen to him speak; he wanted to enjoy every minute he had with the Master. There is nothing wrong with simply enjoying being in the presence of God. There are seasons in our journey that we are predisposed to simply enjoy fellowship with our Lord. But then look at Mary – instead of serving Jesus food and enjoying fellowship with Jesus, she honored Jesus in a way beyond what others had done. She took a pound of costly ointment and anointed the feet of Jesus and wiped the feet of Jesus with her hair. That ointment was very valuable to a woman and yet Mary poured it out, with total abandon for Jesus. She honored Jesus by GIVING HER BEST TO HIM. Then she wiped Jesus’ feet with her hair. Mary was willing to HUMBLE HERSELF IN ORDER TO HONOR JESUS. Hair in the Bible time is a woman’s glory and to use it to wipe the feet of Jesus means that Mary was giving up her pride, without respect for what others thought and she was worshiping and honoring Jesus IN HUMILITY. It is impossible for us to honor God with a sense of self-importance at the same time. Next, Mary WORSHIPPED DESPITE CRITICISM. Judas criticized her but she didn’t care. Application: What is your level of honor to Christ? Is it all about you doing the things you like for Jesus? Or is it just about always enjoying the presence of Jesus? Or is it a total giving of your very all and best for Christ, without any reservation, without any pride left and without any concern for the criticism hurled along the way? E.g. 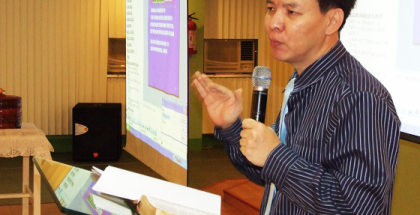 Pastor Toh Nee and I, by the grace of God, have come a long way in this mission field. 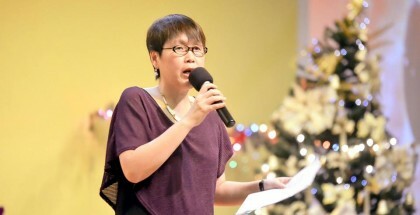 To think about the many people who despised and criticized us for giving up our country, our families, our Spore career and our youthful years to Philippines bring us to mind what Mary had done for Jesus too. Remember, the total giving of Mary of her precious ointment filled the whole house with the fragrance. I believe our total abandonment of everything we have for the last 30 years have in some way or another rubbed off the fragrance of Christ and our sacrifice on you. 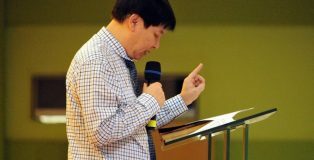 Today, God has been sending many Singaporeans to cross path with us to bestow the honor which those group of people failed to give us 30 years ago. Our greatest credential is not ordination from any organization but the giving of our all to Jesus for the last 30 years. Not many in Singapore can beat us in this track record. That is the best fragrance we can give to Christ and to all around – our very all and our very lives. Deuteronomy 5:16- Honor your father and your mother, as the LORD your God has commanded you; that you days may be prolonged, and that it may go well with you, in the land which the LORD your God gives you. Illustration: Once there was a little old man. His eyes blinked and his hands trembled; when he ate he clattered the silverware distressingly, missed his mouth with the spoon as often as not, and dribbled a bit of his food on the tablecloth. Now he lived with his married son, having nowhere else to live, and his son’s wife didn’t like the arrangement. “I can’t have this,” she said. “It interferes with my right to happiness.” So she and her husband took the old man gently but firmly and led him to the corner of the kitchen. There they set him on a stool and gave him his food in an earthenware bowl. From then on he always ate in the corner, blinking at the table with wistful eyes. One day his hands trembled rather more than usual, and the earthenware bowl fell and broke. “If you are a pig,” said the daughter-in-law, “You must eat out of a trough.” So they made him a little wooden trough and he got his meals in that. These people had a four-year old whom they were very fond of. One evening, the young man noticed his boy playing intently with some bits of wood and asked what he was doing. “I’m making a trough,” he said, smiling up for approval, “to feed you and Mamma out of when I get big.” The man and his wife looked at each other for a while and didn’t say anything. They cried a little. They then went to the corner and took the old man by the arm and led him back to the table. They sat him in a comfortable chair and gave him his food on a plate, and from then on nobody ever scolded when he clattered or spilled or broke things. Honor is at the foundation of our way of life, if we are truly Christians. It is the reason God says –Honor your father and mother. And if we don’t, he will bring judgment on us. He will sell our daughters into slavery. He will render us weak and sickly. He will utterly destroy and obliterate us. He will cut off our future generation. That is how important God sees HONORING PARENTS. God gives us this contrast – on the one hand, that we will have BLESSINGS if we obey and on the other hand, CURSES if we do not (Deuteronomy 28). Now some of you children may ask, “Must I also honor parents who are abusive, irresponsible, unreasonable and worse of all, a family wrecker?” The answer is YES! Though parents may be very much at fault, but the actual RESPONSIBILITY for the problem lies on us and how we honor people in authority, and how we honor our parents. The most abusive authority in the world will not make it “unwell” with you. You make it “unwell” with yourself when you do not understand the PRINCIPLE OF HONOR. Simply put, you honor your parents because of their POSITION and not their PERFORMANCE. Proverbs 30:11-13- There is a generation that curses its father and does not bless its mother. [This is speaking of our generation today.] There is a generation that is pure in its own eyes, yet is not washed from its filthiness. [This is a description of these Laodicean attitudes today.] There is a generation, oh how lofty are their eyes! And their eyelids are lifted up. This is a description of our generation today – especially our youth. What are some of the comments that you hear from our youth today? Maybe they do not say these in the exact words, but the attitude is written all over their faces. “Look at me, I’m sixteen years old and a repository of wisdom. I know more than my father, even though he’s lived more than twice as long as me.” Or, here is another one, “I am wisdom incarnate at age twelve, even though my parents have lived four times as long as I have.” And when you put that into perspective, it looks absolutely ridiculous that anybody would have that kind of attitude – of disrespect towards parents. It is God Himself who determines who shall be honored and shall not. He has commanded that we honor our fathers and mothers. The elders here are referring to pastors. Double honor must be given to them especially those who have ruled well, those who have taught well the word and doctrines of God. 1 Peter 2:17- Honor the king. 1 Timothy 5:3- Honor widows who are really widows. It is easy to honor those mentioned above because of their position and their calling. But what about the weak and unworthy? Valjean is shaken to the core. He repents and changes his life, vowing to become the man the bishop saw in him. The next thousand pages chronicle his heroic journey of self-emptying love. Valjean was converted by honor, changed by an atmosphere of such love that faith became the only reasonable response. Honor the weak and the unworthy. (III)	HOW TO UPHOLD LIFESTYLE HONOR? Honor is one of the clearest expressions of love. It creates a healthful and purposeful environment that enables people to become their best. There is an ACT OF HONOR and then there is a LIFESTYLE OF HONOR. The lifestyle of honor acts like a greenhouse. It is an ENVIRONMENT that enables the plants – the family, workplace or church – to grow more easily. An honorable lifestyle creates the atmosphere that enables the growth of all things good. Leaders who want a culture of honor so that they will be treated better miss the point entirely. That would be like a father or mother coming home from work expecting the whole family to rally round him or her, tending to every need. As a leader, I want to set a new standard for how honor will be lived out in this church. If my culture of honor is based on corporate structure, it will do nothing more than exalt the greatest at the expense of the least. That is how CORPORATE LADDER was formed. Many churches function this way. Honor has become the act of giving to those who are powerful, with special attention for those who have achieved much. Rather, honor should be given before there is the capacity to achieve it. It should be given based on WHO PEOPLE ARE, NOT JUST WHAT THEY HAVE DONE. The infant on my lap and the toddler in my arms are incapable of achieving much. But loving them and giving them honor happens because I see what is yet unseen. THE HEART THAT HONORS OTHERS SEES THINGS IN THEM THAT THEY DO NOT SEE. Lifestyle honor (a culture of honor) must have impact on THE LEAST AMONG US, or it is not really our lifestyle. And because the atmosphere draws out the potential of people long before they see it in themselves, it has that greenhouse effect. Honor brings out the greatness that lies hidden. Lifestyle honor is to take the strength of my life and pour it into yours. Application: We honor our children by giving them powerful choices. We honor our friends and spouses by helping them maximize their potential. We honor our leaders by supporting and strengthening them. Lifestyle honor focuses on EMPOWERING THE PEOPLE AROUND US, no matter who they are, or what their gender, age, status or role. Lifestyle honor is led by love. And when we honor, we are protecting and nurturing our connections with each other. Our goal is to establish and maintain authentic relationship, rather than dominate another person. Lifestyle honor communicates, “My relationship with you is more important than you doing what I want you to do. The result of lifestyle honor is PROGRESS AND MOMENTUM. But there is a divine tension. When you give the people around you permission to be powerful and control themselves, there is the definite possibility that they will use that freedom to excuse their selfish and sinful behavior. Therefore, the SKILLS OF CONFRONTATION are indispensable. For most people, the confrontation of sin can feel very threatening and for some, may have ended disastrously in the past. The motive behind our communication and confrontation is very important. When we confront in an honoring way, the goal is to define the problem and not to bully or manipulate a confession. When you confront others, it should be motivated by love and a desire for the success of the other person, not a need for control in the situation. E.g. Recently God brought me into confrontation with a certain group of people. In the past, I would have slashed them down for the things they were doing behind my back. But this time, the Holy Spirit taught me how to confront them – not motivated by my own sense of justice but more by my desire to address the problem and to uphold the spirit of unity and the bond of love. The Holy Spirit specifically told me not to look at them for what they have failed towards me but more like my children and to honor them with my forgiveness and unconditional love despite their sins. My goal was not to use my authority to beat them into confession but rather to restore the relationship and see them succeed in the calling God has given them. Thank God I obeyed God more than my pride and consequently the fractured relationship was mended and restored. I give glory to God. Building and maintaining an environment of honor in the church and upholding lifestyle honor should be the priority of Church leaders as well as members. Without honor, we will not win hearts. The battles of life have left people cold and weary. As Pope Francis says, today’s church needs to be first and foremost a “field hospital” during battle – a place where hearts are warmed and wounds are healed. The degree we uphold lifestyle honor, the degree we will see lives changed and the kingdom advance. E.g. 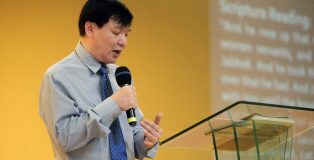 I believe God allowed Pastor Toh Nee and me to be badly wounded by people so that we can be a “hospital” to many wounded that will come along our lives. Many came to us with loss of status, finance, ministry and future. And God has been using us to see them beyond their failures and to reach out to them. 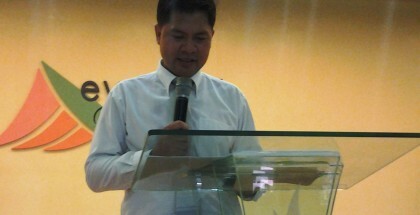 God also led us to LSBC to witness for ourselves that lifestyle honor really works there. This is the first time I have been to a church where I can get along with almost all of them. There is no culture of politics, jealousy and internal conflicts. Why! Because they have been taught to honor people regardless of their culture and differences of opinions. Many derogatory names were being labelled about Filipinos from where we originally came from but one credit I must give to LSBC leaders and members is – they don’t see Filipino as another inferior race or culture. When they come to the Iloilo, they really come with a purpose to serve and not to be served; they come wanting to relate to the Filipinos and not thinking of themselves as a more superior race from a first world country. They see all of you as people and as a person created in the image of God and as such until today, I have never heard a derogatory remark made by any of them against anybody. That is the culture I want to see develop in Evangel Tabernacle and that is the lifestyle I want to emulate more in my life. Jesus was HONOR INCARNATE. His love softened hearts and evoked wonder and change. Peter, Matthew, Zacchaeus, Magdalene, the Samaritan woman at the well, the woman caught in adultery: all bore fruits of our Lord’s honor. Christ exemplifies honor in washing the disciple’s feet. He paid them the honor of service and subjected His own priorities to their interest. Christ Himself has honored you and me by calling us His own. We all did nothing to earn this honor, yet He gives it to you and me liberally. Freely we have received, freely we must give to others. For we know that when we have done this for the least among us, we have done it for God Himself. I pray that through honor, Evangel Tabernacle will be the house of Bishop Bienvenu: where after every other door has been closed, Valjean finds a welcome from the very sad place he has been; where a convict is called “Monsieur”, where a hungry man is fed; where a hardened man is softened; where a broken man is mended. I pray that through honor, this church will be the house where treachery is met with mercy; where contraband becomes a ransom; where gold emerges from mud; where slavery gives way to sonship; where a life of tragedy is transformed into a beautiful story as Les Miserables. HONOR …..HONOR GOD, HONOR ALL MEN ESPECIALLY THE WEAK AND THE UNWORTHY!